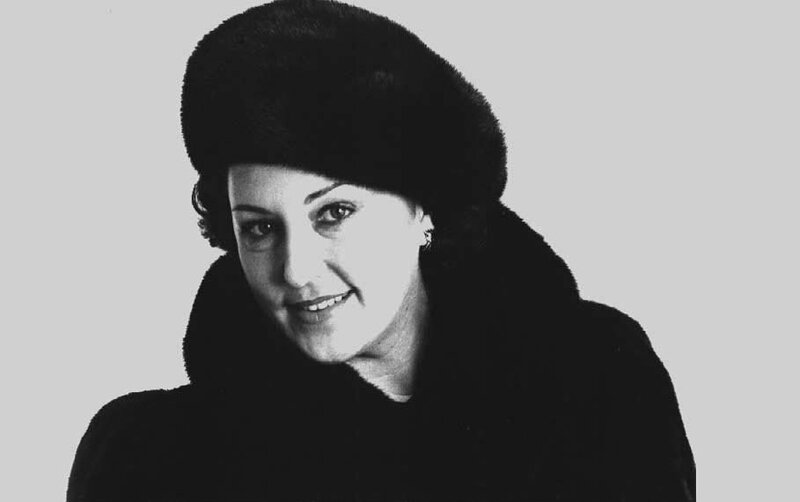 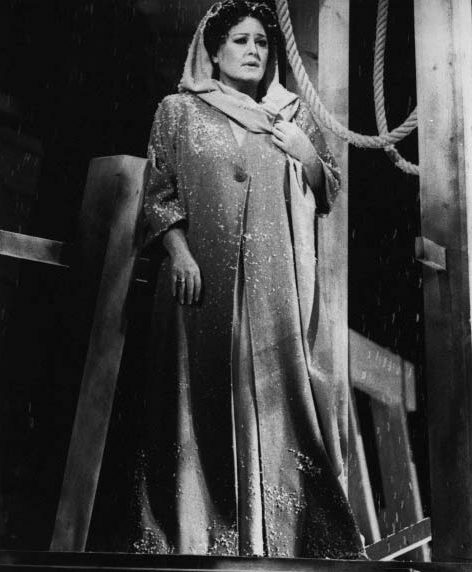 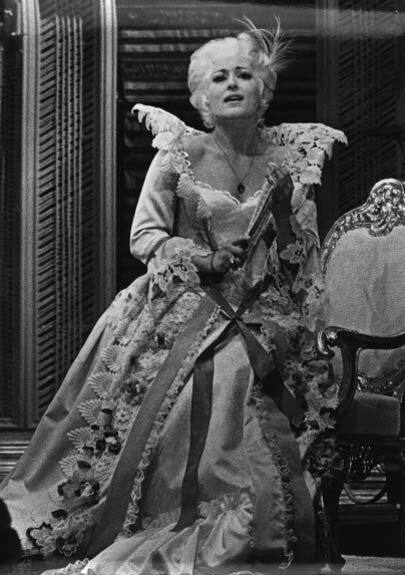 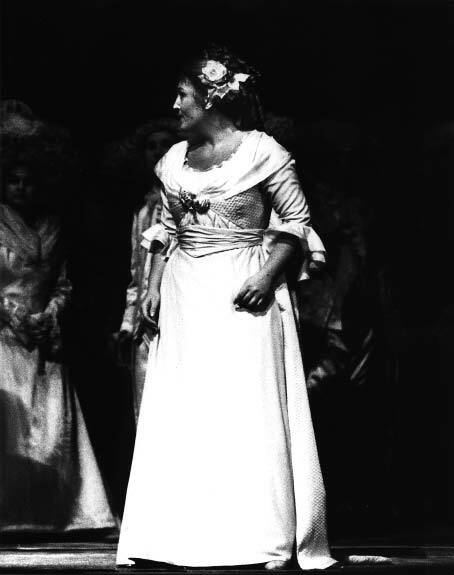 Anna Tomowa-Sintow is undeniably one of the leading vocal stars on the operatic stage today. 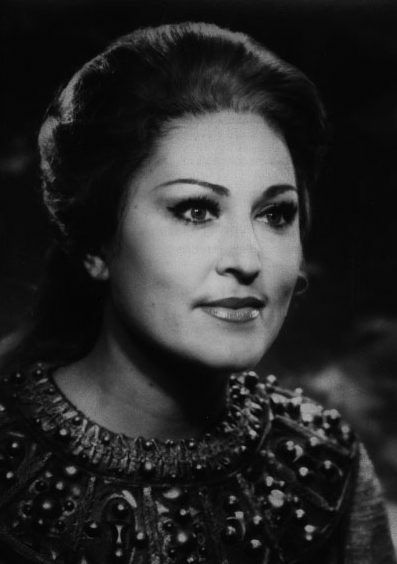 After her musical training in Sofia, the Bulgarian-born soprano made her debut at the Leipzig Opera. 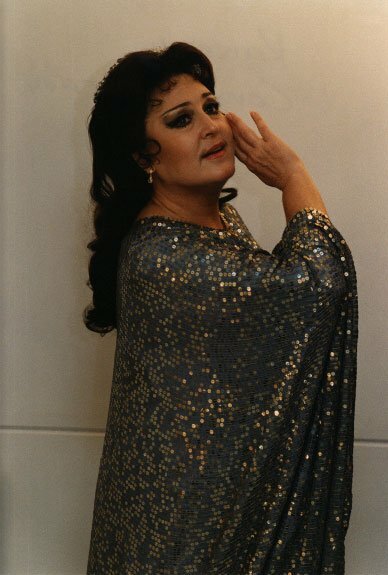 In Leipzig and later at the Berlin Staatsoper, she mastered an enormous repertoire ranging from the great lyrical-dramatic roles of Verdi, Puccini and the “Verismo” to the German roles of Mozart, Wagner and Strauss. 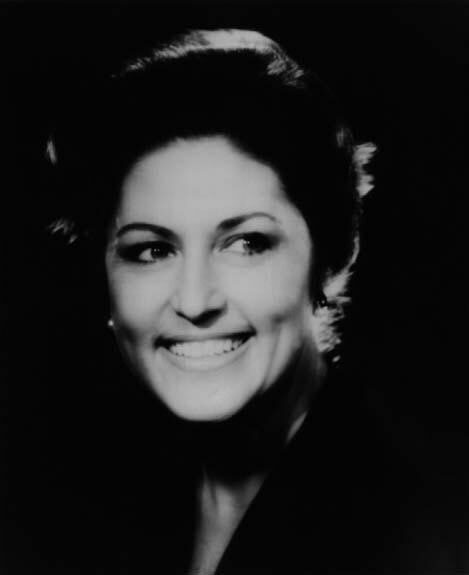 Ever since her international breakthrough in Verdi’s “Requiem” in Paris, Anna Tomowa-Sintow has celebrated triumphs at all the leading opera houses and festivals of the world and with the most prestigious conductors and soloists of our time. 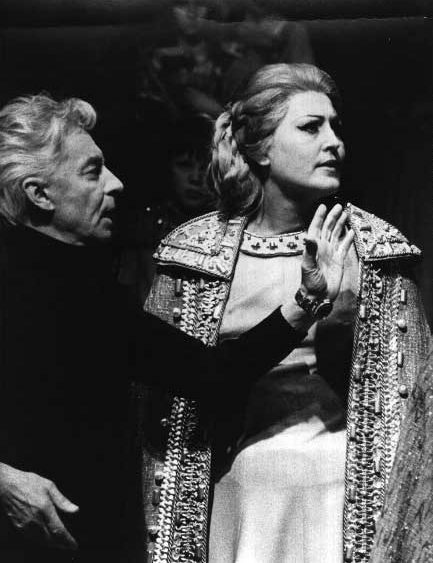 She worked with Herbert von Karajan for seventeen years, a collaboration that gave rise to a uniquely creative and mutually enriching oeuvre on the stage, in the concert hall and in the recording studio. 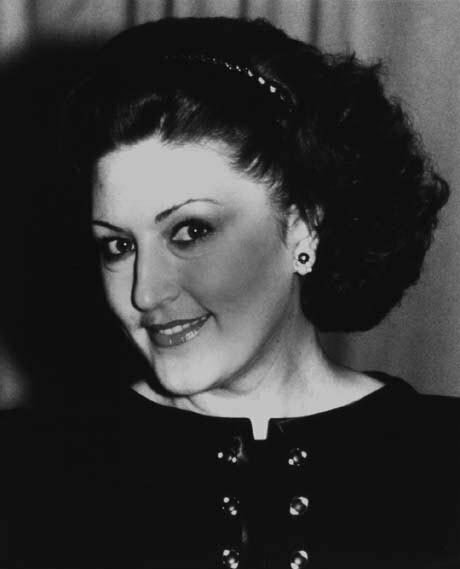 Her recordings with the Berlin and Vienna Philharmonic Orchestras have set standards for generations of singers. 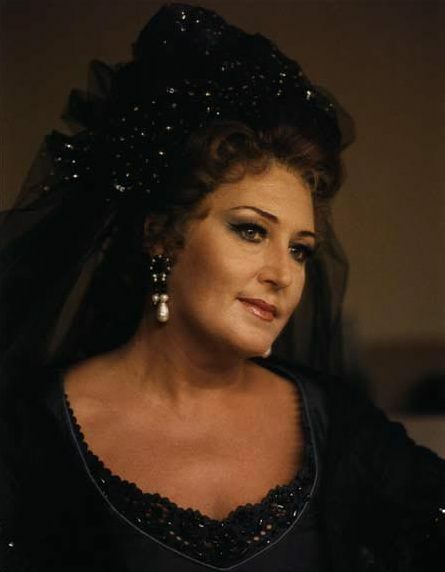 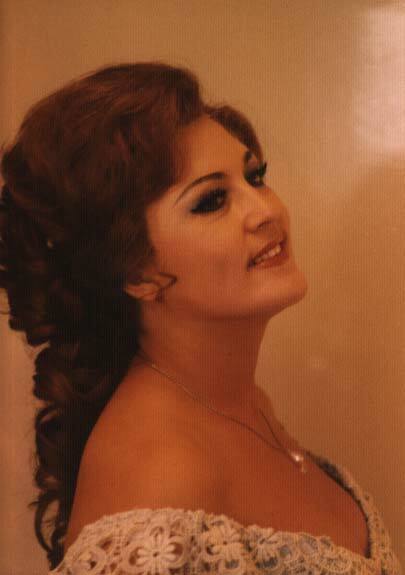 She received two Grammy awards for her recordings of Ariadne and Don Giovanni (Donna Anna). 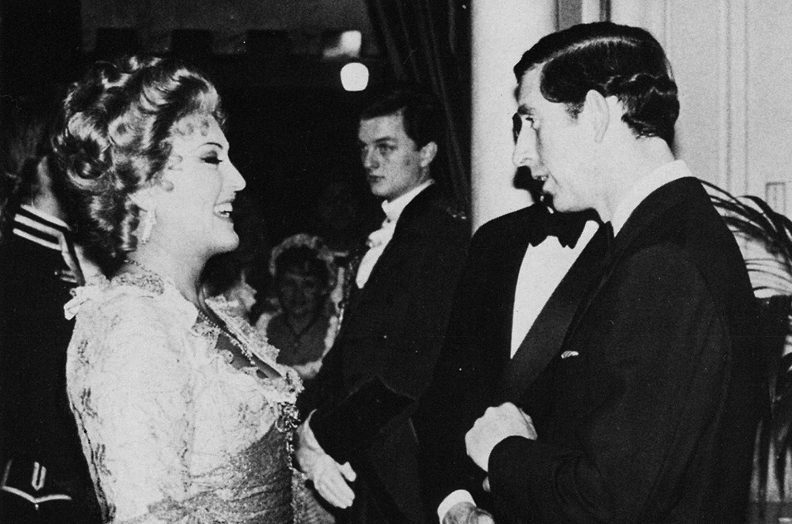 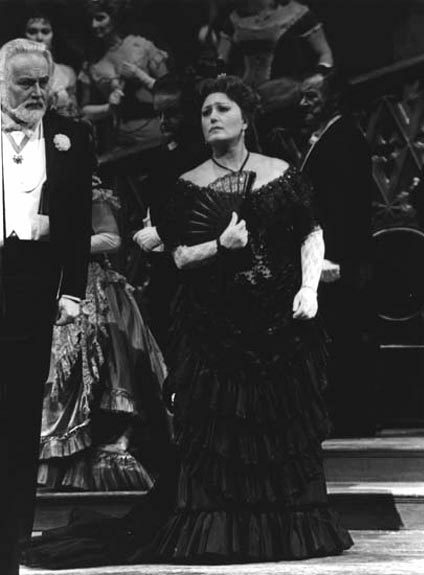 Parallel to her stage career, she has also been pursuing an active concert agenda which is documented on CD and film, in addition to her many opera recordings. 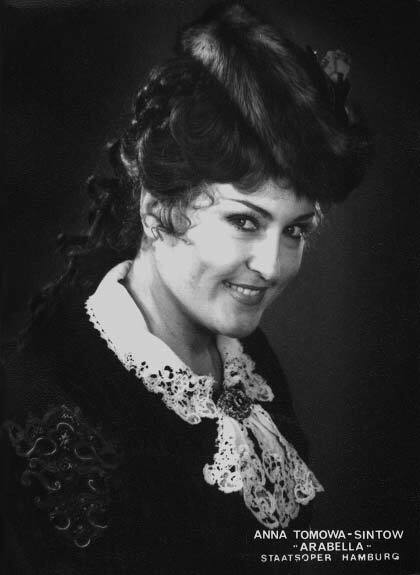 “Kammersängerin” of the Vienna and Berlin State Operas, Tomowa-Sintow is renowned for her incomparable artistry and stylistic versatility. 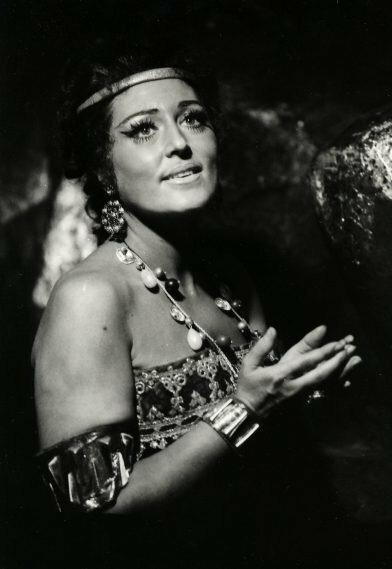 Whether performing Italian or German roles, she forms each part with care and attention, giving each its own unmistakable profile. 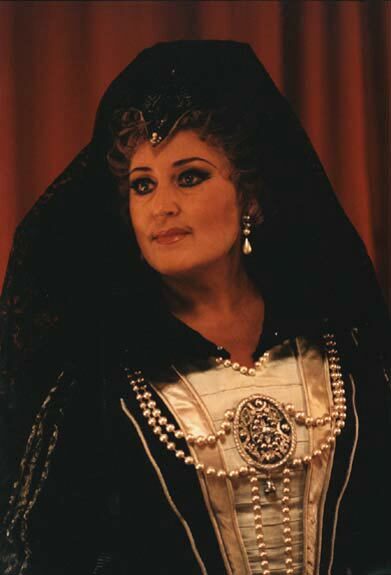 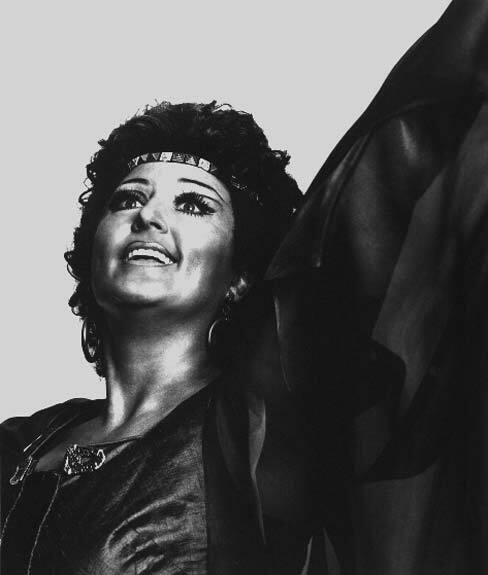 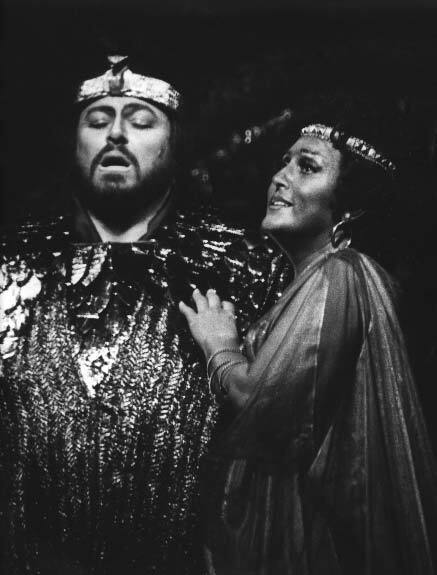 Testifying to her interpretative mastery are her role debuts of the 1990s: Strauss’ “Die Ägyptische Helena”, Jaroslavna in “Prince Igor”, Norma, Sieglinde in “Die Walküre”, Santuzza in “Cavalleria rusticana”, Heliane in “Das Wunder der Heliane”, Salome and the Kaiserin (Frau ohne Schatten). 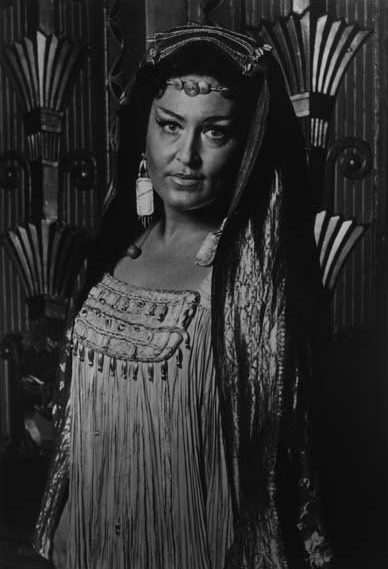 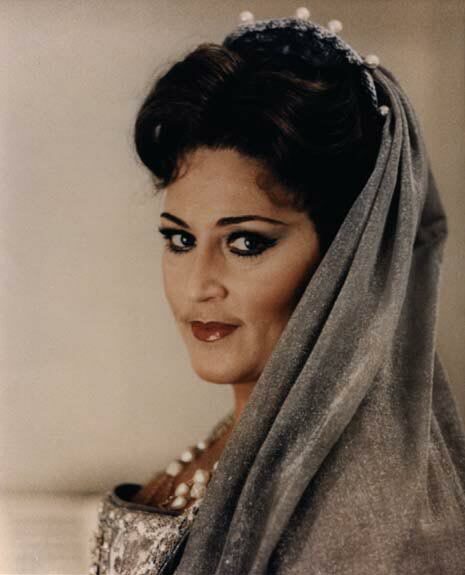 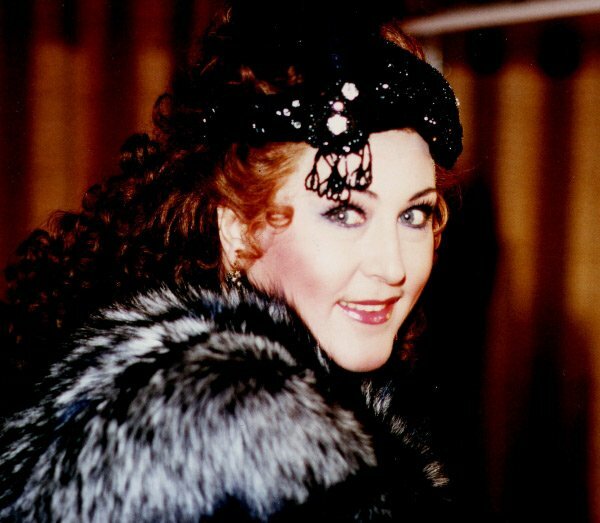 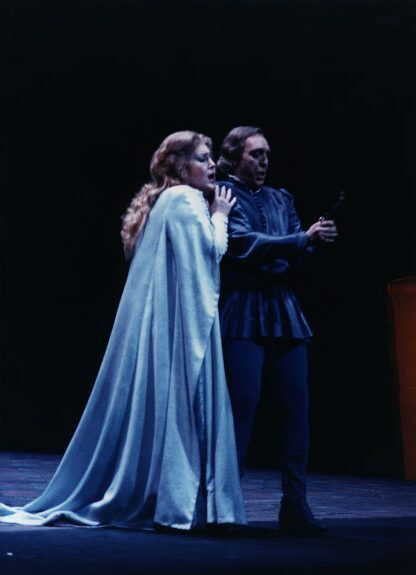 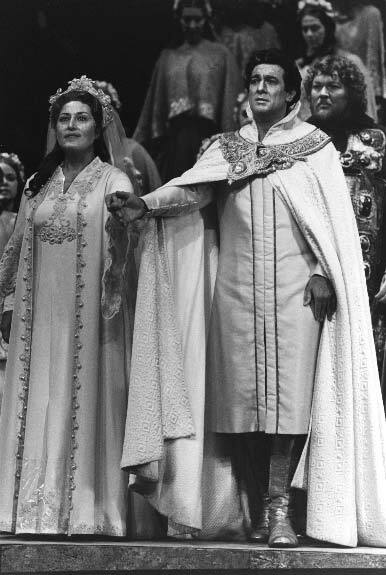 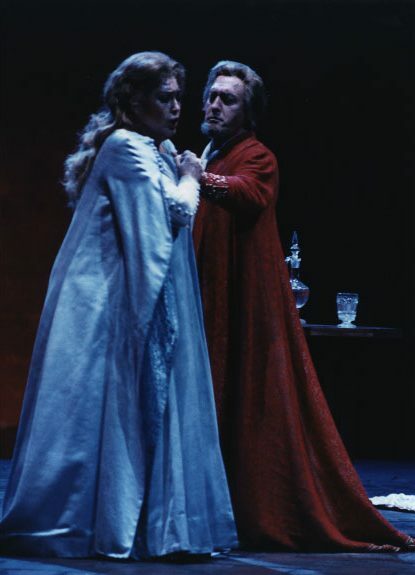 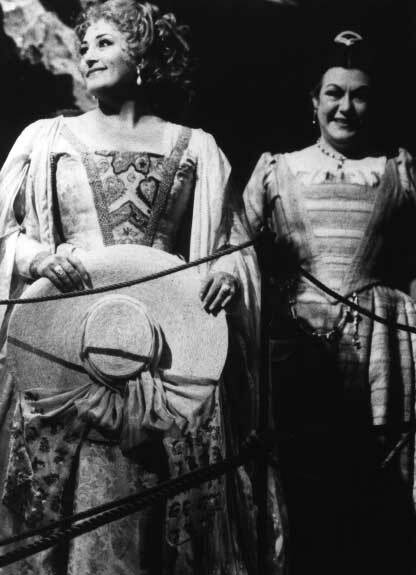 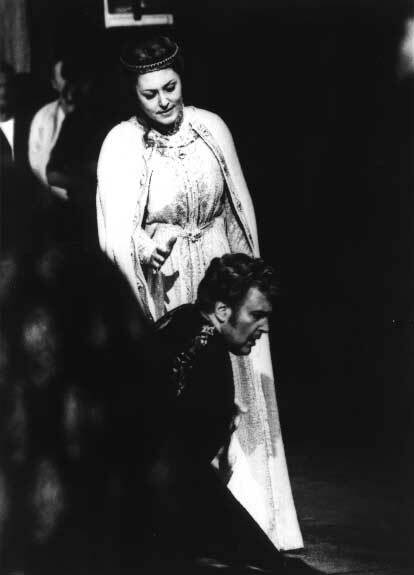 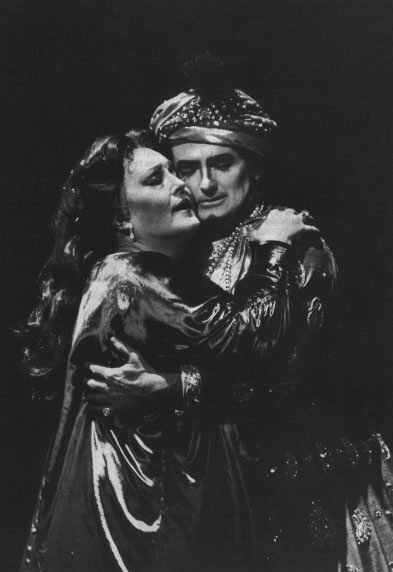 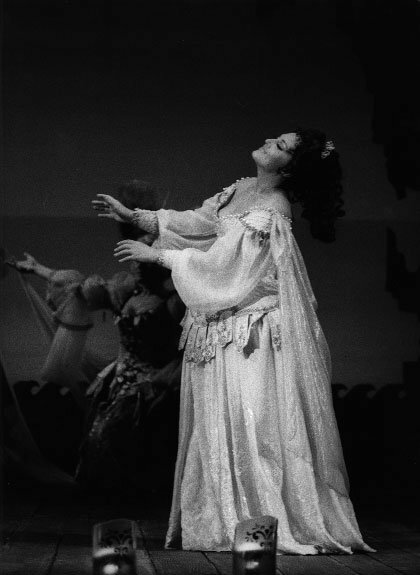 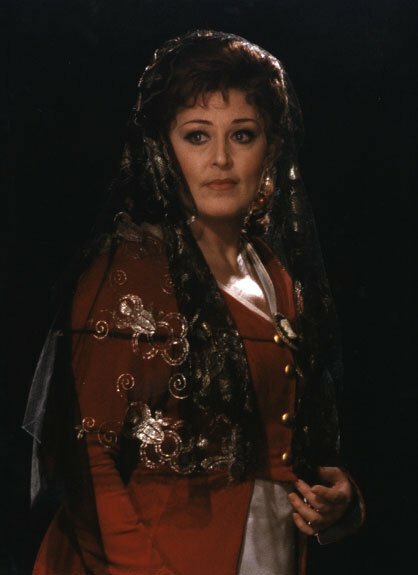 Anna Tomowa-Sintow sang another debut role for the celebrated reopening of the Gran Teatro del Liceu in Barcelona in 1999: her first Turandot. 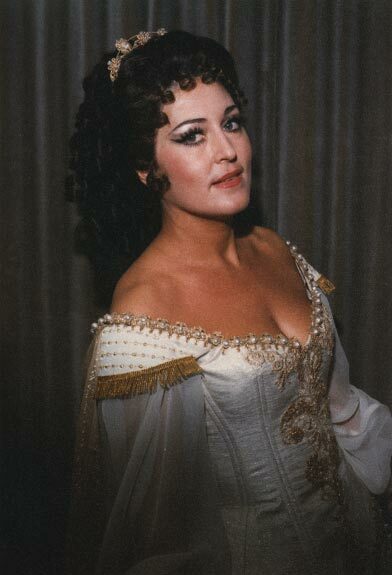 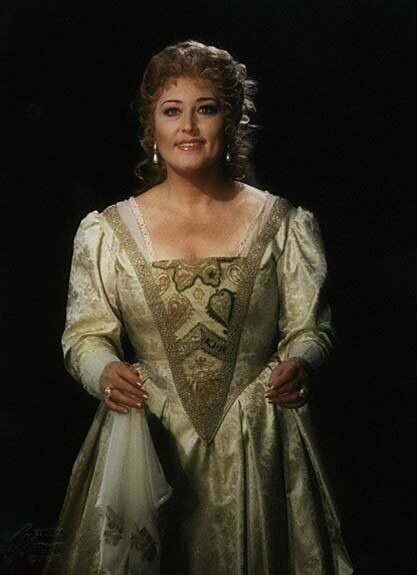 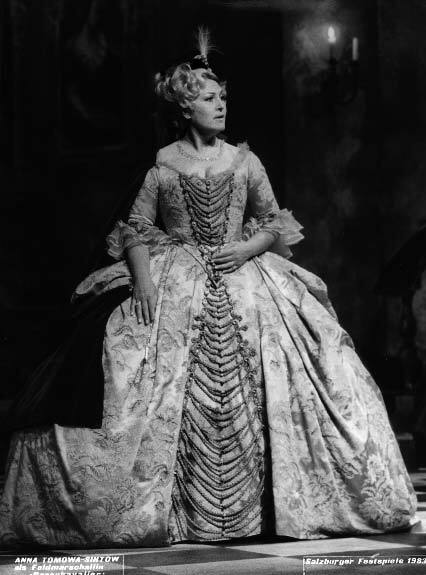 In the spring of 2000 she triumphed once again as Marschallin at London’s Royal Opera House Covent Garden. 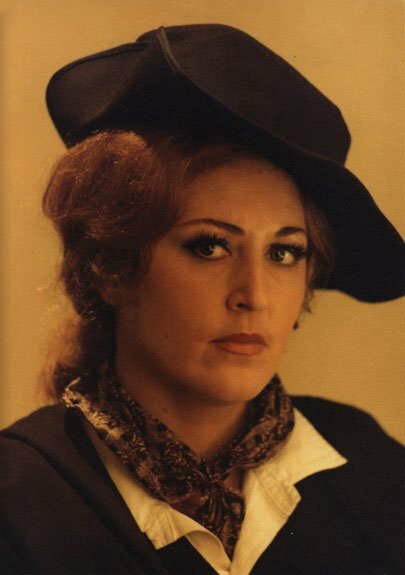 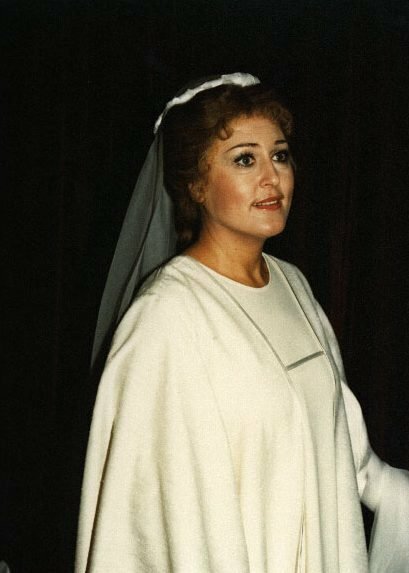 The artist closed the millennium with the Kaiserin (Die Frau ohne Schatten) at the Deutsche Oper Berlin and Maddalena (Andrea Chenier) in Spain. 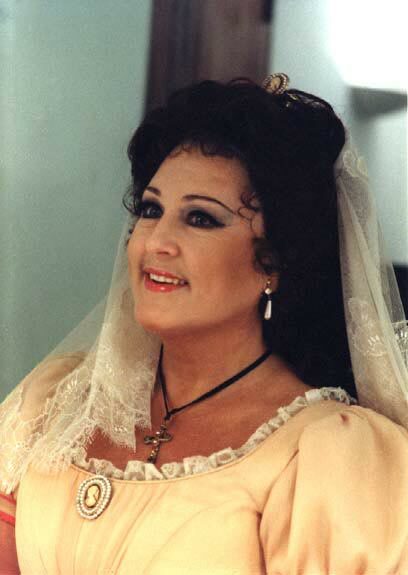 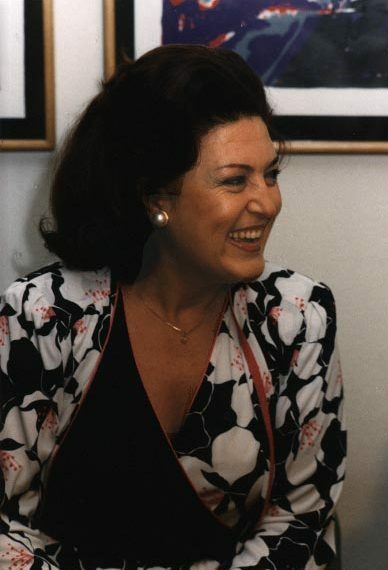 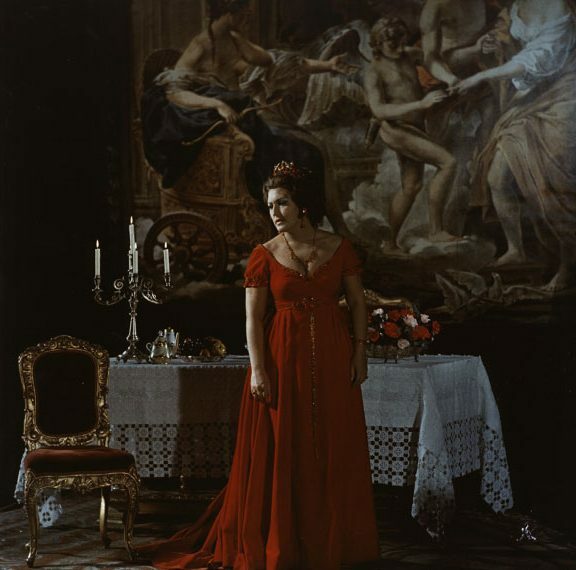 In 2001 she gave several concerts of the Verdi Requiem throughout Europe and special gala concerts for the Verdi year in Milan and Athens for the 10th anniversary of the Megaron. 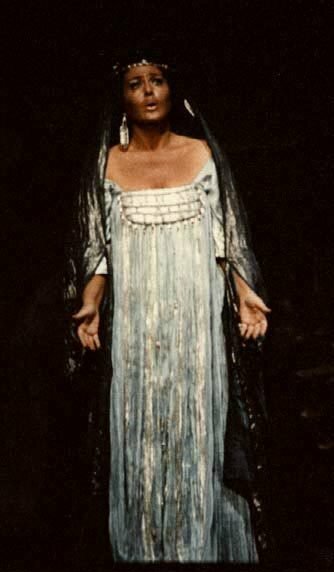 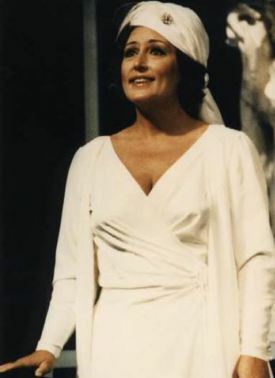 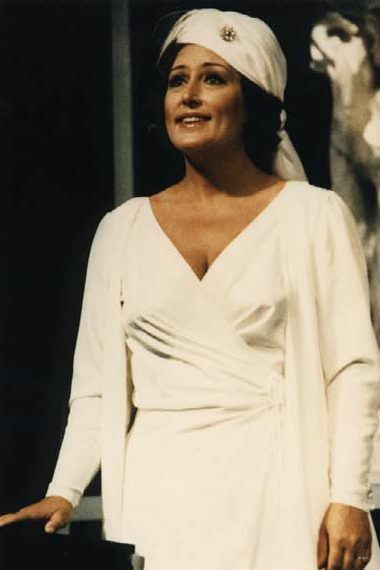 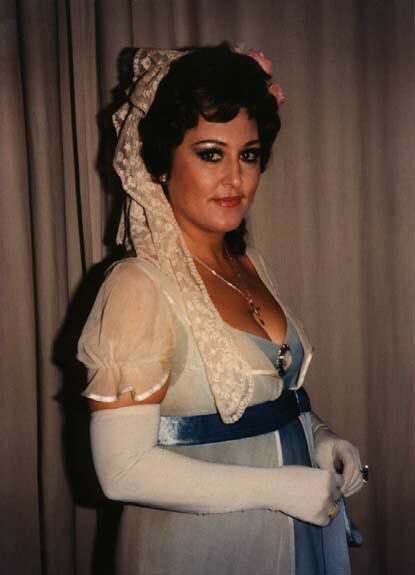 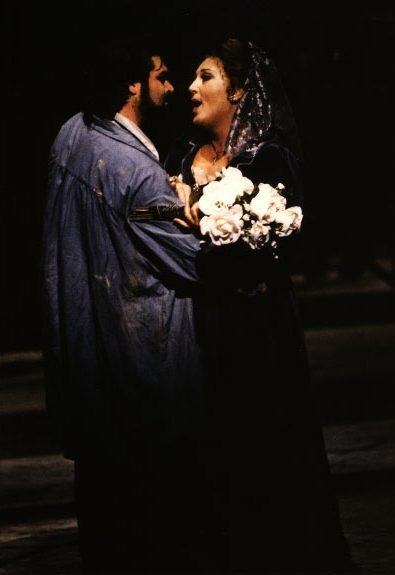 She celebrated the 35th anniversary of her stage and performing debut in a concert performance of “Aida” at the Opera in Sofia on September 23, 2001. 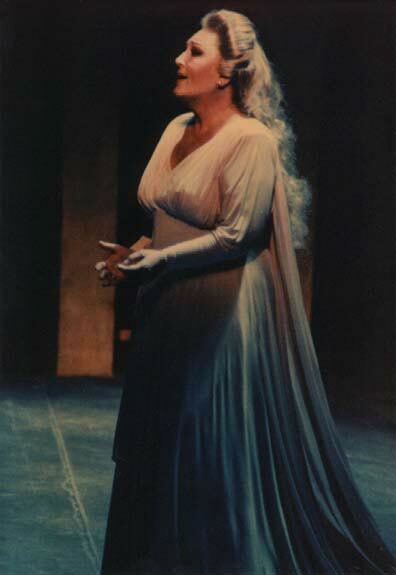 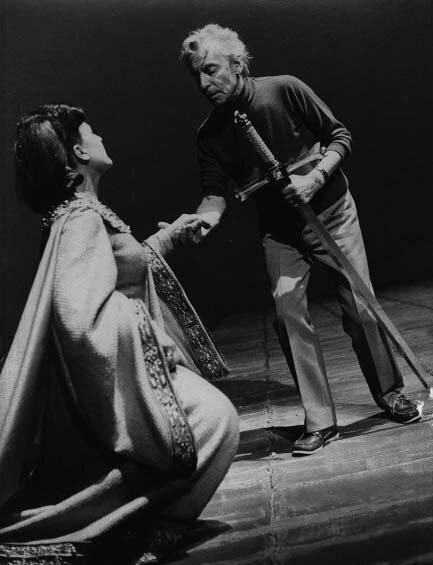 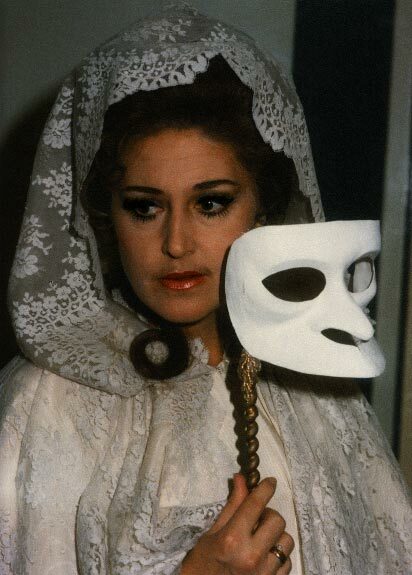 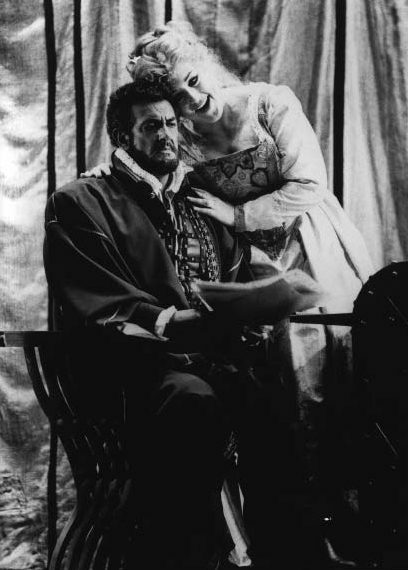 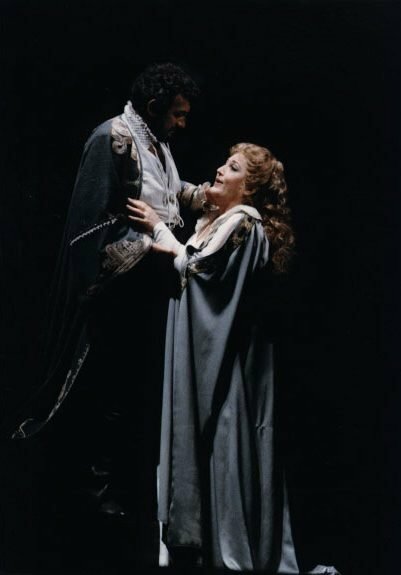 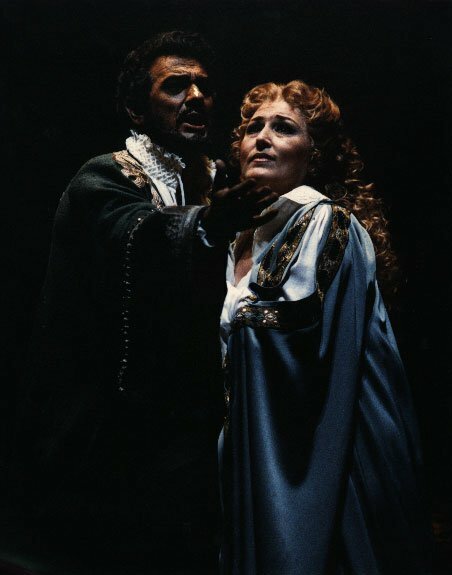 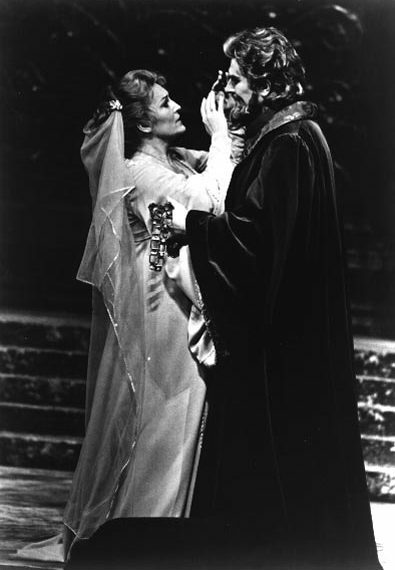 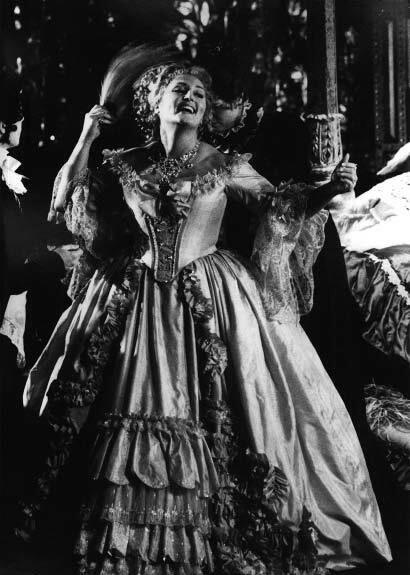 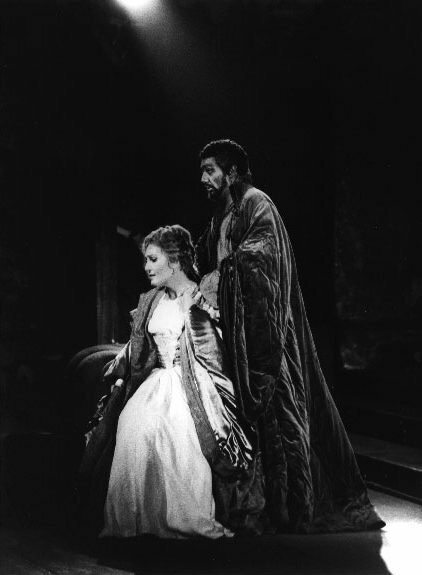 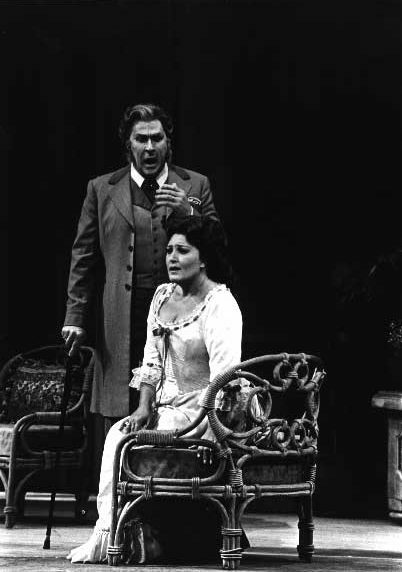 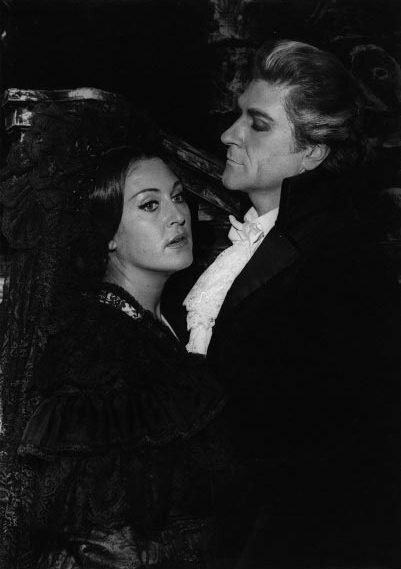 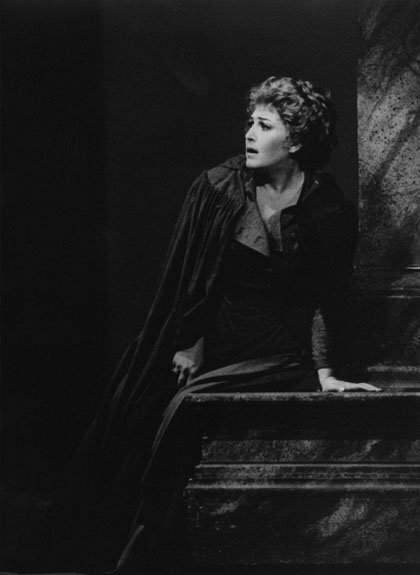 During the same year a stamp was released in the USA with her as Desdemona honouring the Verdi anniversary. 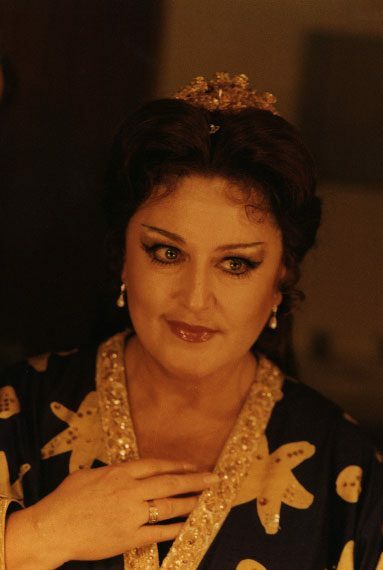 In 2002 she went on a recital tour through Europe, amongst which Barcelona and London’s Wigmore Hall. 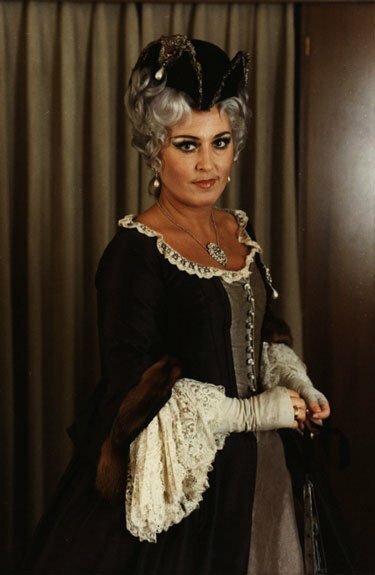 She also gave operatic concerts and a series of performances of Verdis „Un ballo in maschera” and „Don Carlo”, with which she was much cheered as Elisabetta in Tokyo at the end of the year. 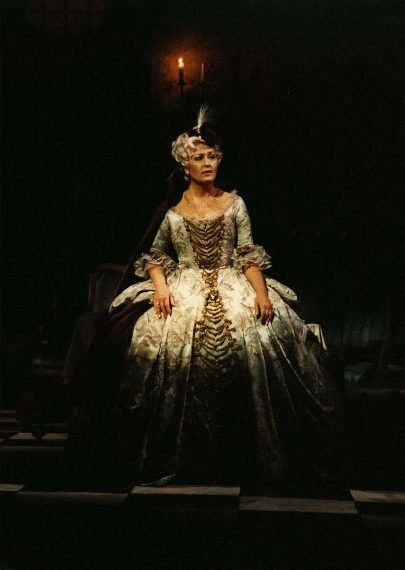 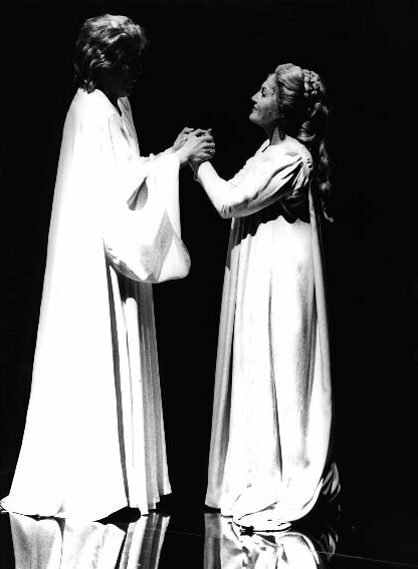 In 2004 she gave her debut as the Foreign Princess in “Rusalka”. 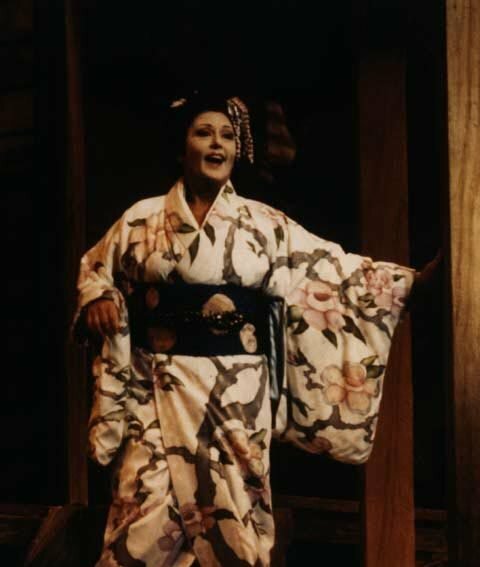 In the following years she returned to Japan on numerous occasions, giving operatic arias concerts, recitals and Strauss’ “Four last songs”. 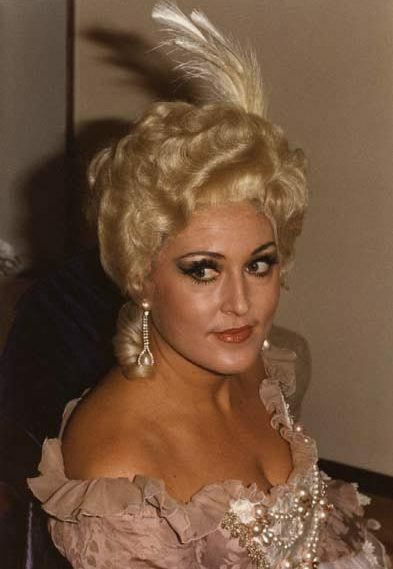 All of these concerts were recorded for radio and television. 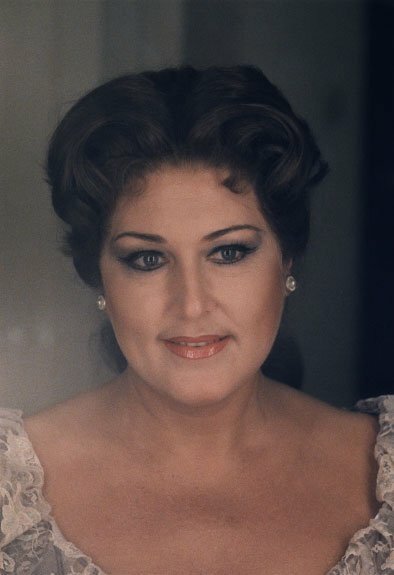 She has been giving masterclasses and concerts (recitals, operatic arias concerts and the Wesendonk Lieder) at the Kirishima International Music festival as well as at the Athens Concert Hall, the Megaron. 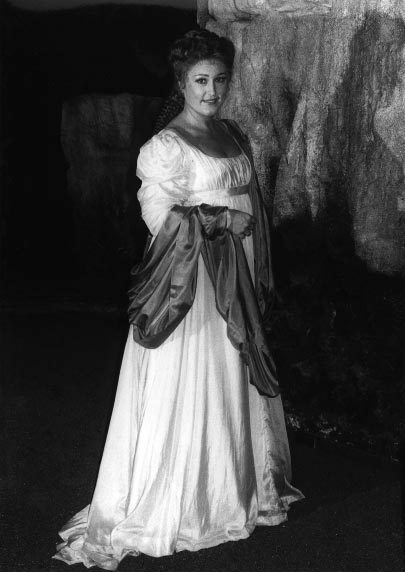 Anna Tomowa-Sintow celebrated the 80th anniversary of the opera house in Stara Zagora (her home town and the oldest opera house in Bulgaria) with a big gala concert and also sang the Countess in a first ever concert version of “Le nozze di Figaro” in Sofia in honour of the 250th Mozart anniversary year. 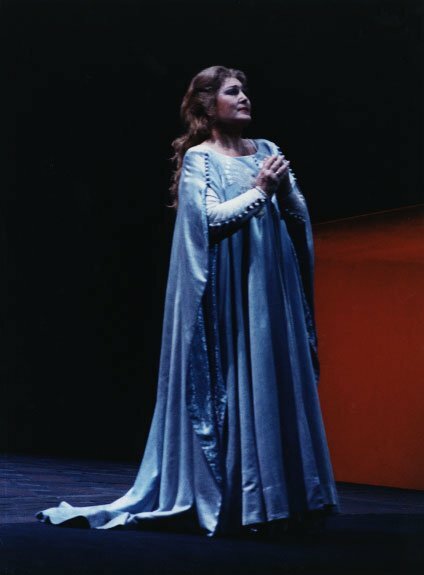 In 2007 she sang Sieglinde with triumphant success in a concert version of Walküre’s 1st act and together with the NHK Symphony Orchestra she performed Strauss’ “Four last songs” in Tokyo (live TV transmission) and closed the year with her very first Christmas concert together with a boy’s choir and orchestra. 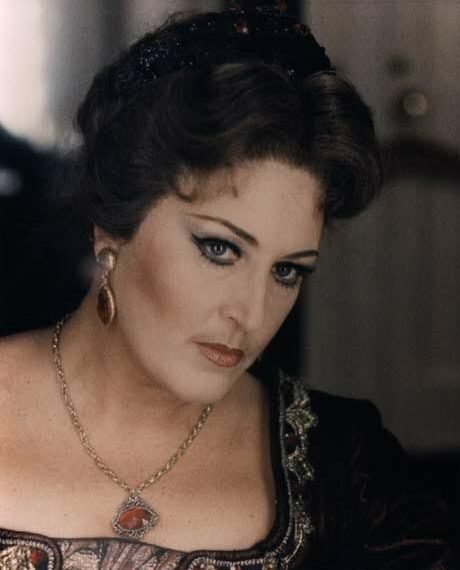 In 2008 she appeared for the first time at the Schleswig Holstein Music Festival with a frenetically cheered recital and subsequent masterclass. 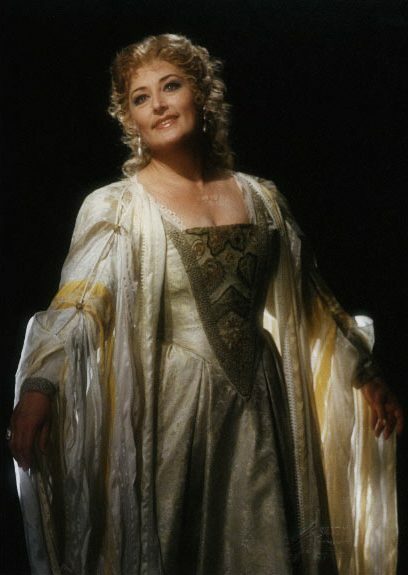 In 2009 and 2010 she gave some highly successful Christmas concerts together with the prestigious Tölzer boy’s choir and orchestra at the Athens Concert Hall, the Megaron, as well as in Japan and was also giving masterclasses in Japan and Greece and at the renowned Musikhochschule in Rostock. 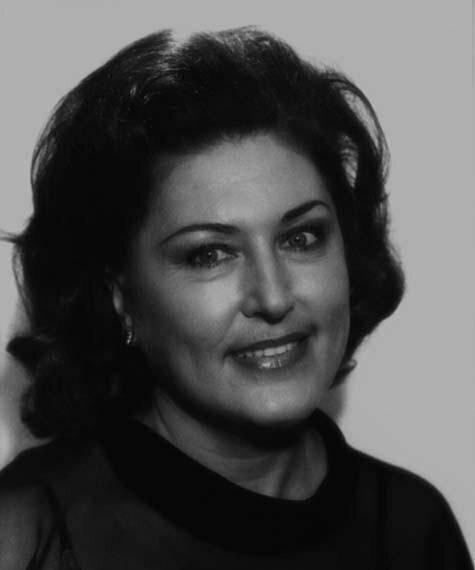 She is a regular member of the jury of many prestigious singing competitions amongst which also the Mirijam Helin singing competition in Helsinki. 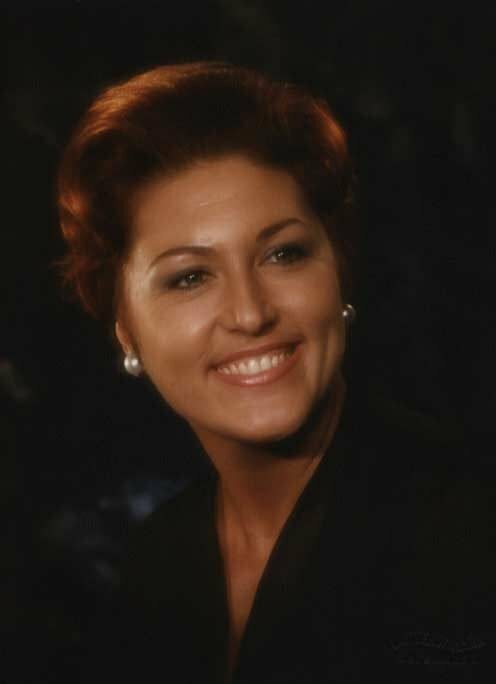 In 2011 she was once again a prominent jury member of the “Queen Elisabeth singing competition” in Brussels and gave masterclasses at the Salzburg summer academy of the Mozarteum, the Schleswig-Holstein music festival and the Royal Opera House Covent Garden in London. 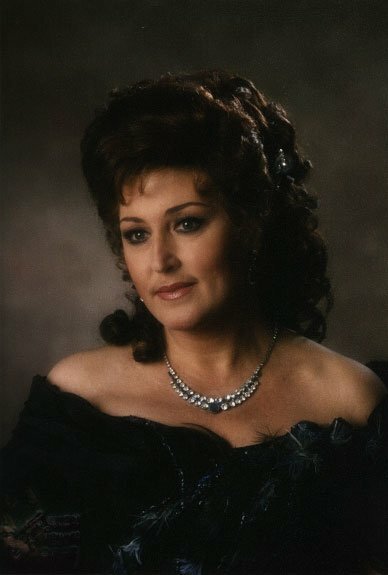 At the end of the year Anna Tomowa-Sintow gave a festive concert at the re-opened opera house of her native town Stara Zagora as well as a further masterclass at the national music academy in Sofia on the occasion of its 90th anniversary and concluded the year with a great gala concert together with her students at the National Opera house. 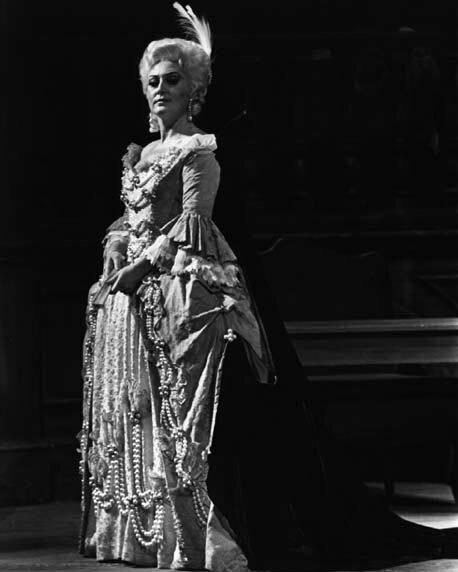 “The central role of the Empress suits Anna Tomowa-Sintow’s technique and professional stature ideally. 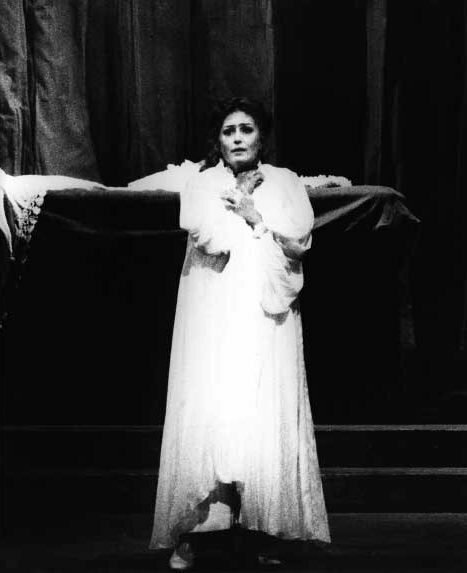 Her interpretation grew in conviction and persuasiveness as the over four-hour-long opera progressed, until the deeply moving revelations of the scene with the almost stone Emperor. 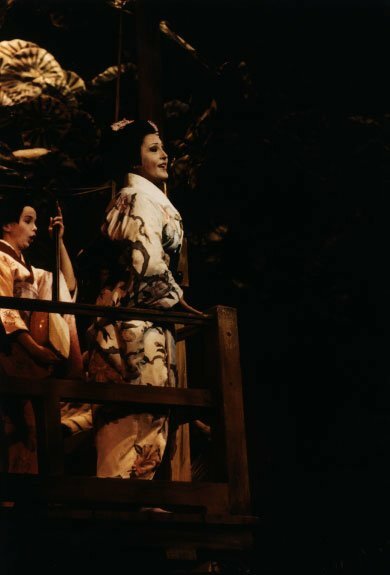 This epic, beautiful performance is the best thing Tomowa-Sintow has done here.